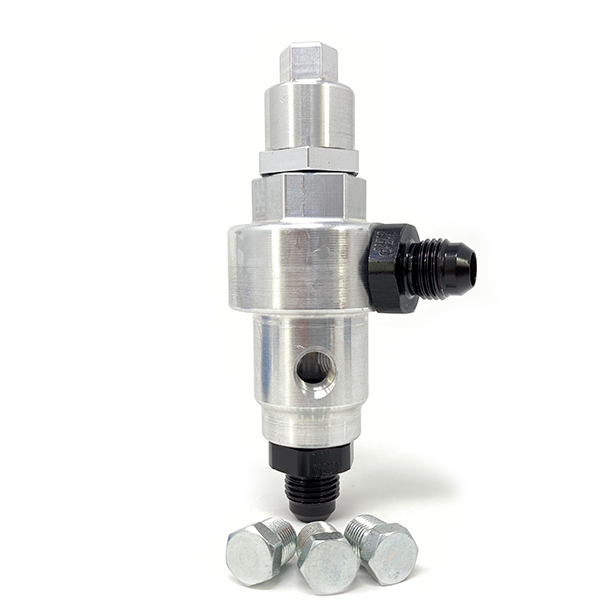 This valve will regulate the torque converter pressure down to and adjustable pressure. • Comes preset at 100psi. • Typical pressures for drag racing are 65-125 psi. • Lower converter pressure reduces the chance of having thrust main bearing issues in the engine. The kit includes the regulating valve only. This is the new design valve with three pressure ports for datalogging Torque converter charge pressure.